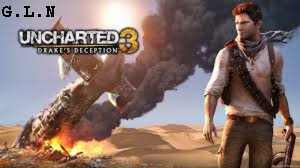 Uncharted 3: Drake’s Deception is completely free to play and download as of today. Be aware that it is only the multiplayer component that is the freebie and this special bonus is currently only available to PSN owners. All the other major consoles do not apply when it comes to this offer. The first few levels are free to play online and Naughty Dog who are the game developers have said that players can play for free up to level 15 only. From then on the free to play feature will have expired. 15 whole levels of competitive multiplayer is now bad going for a freebie though. Naughty Dog wanted to try out the free gaming route to see if it does indeed increase sales like it has worked for so many other company’s in the past year. If successful, we could likely see more of their titles given the same awesome treatment aswell. The Uncharted 3: Drake’s Deception game of the year edition is now currently available to buy digitally. When we see more freebies in the video games business, we will be the first to let our readers know so stay tuned.